The energy-efficient facade system enables modern architectural design using the atmospheric properties of natural wood, while simultaneously fulfilling the most stringent requirements for heat insulation. 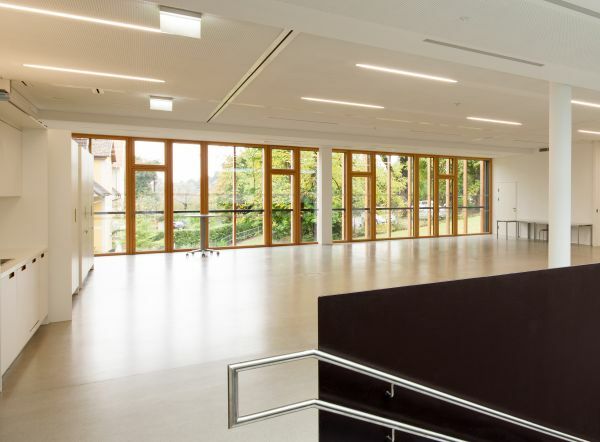 The visually attractive wood and glass design is certified as a component for passive houses. The facade is mounted on a post-and-mullion structure. The spacers to the outer layer are thermally separated and consist of wood and wood fibre insulation. The weight of the panes is supported by statically calculated glass brackets. 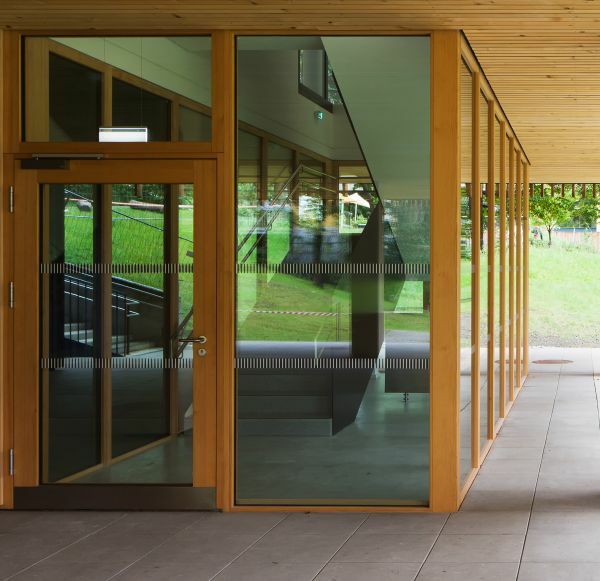 Like the OPTIWIN window systems, the facade system is comprised of a weight-bearing wood structure that can be fitted externally with weather-resistant wood types or with a robust aluminium frame. This outer layer can be exchanged and is individually configurable, a benefit also during subsequent renovations. The facade solutions provide the benefits of a high level of pre-fabrication and short assembly times. Elegant design with slender frame underscores the design.